Olympic gold medalist Michael Phelps and his wife, former Miss California USA Nicole Johnson, have welcomed their second baby together, a baby boy named Beckett Richard Phelps. 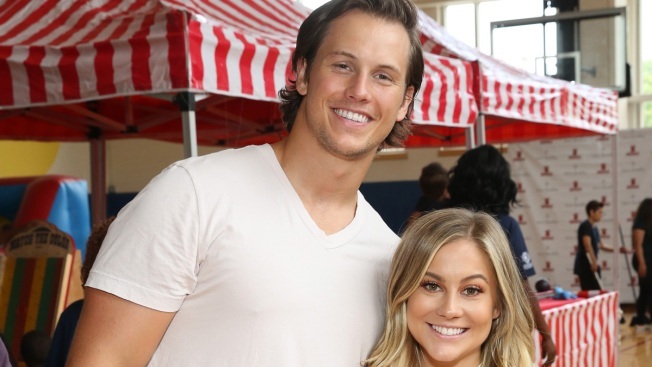 The new mom and dad of two announced the arrival of their baby boy via son Boomer Phelp's Instagram page. "I am officially a big bro!!!" the caption read. "All I wanna do is hold him! I can't wait til I get to teach him so many cool things about the world!! #bigbro"
Michael shared his heartwarming message on Instagram: "Magical moments yesterday... Nicole and I would like to introduce Beckett Richard Phelps to the world! We had a healthy baby boy and a healthy mama. I truly do feel like the happiest man in the world. Being able to build our family to now 4 (6 with doggies) is so incredible! #familyof4now"
The newborn joins big brother Boomer, whom the couple welcomed in 2016. Ahead of the second birth, the anxious parents were eager to meet the newest addition to their growing family. "We're ready to add another hand on top of ours...." Phelps captioned a sweet shot of all of their hands stacked on top of each other. It was late August 2017 when the newlyweds announced they were expecting another little one. "Number 2 on the way!!!! So excited!! Wonder if it's a boy or a girl??" Phelps asked at the time. "Lil mans going to be a Big Brother!!!" Nicole added on her social media. A little more than a year earlier, the lovebirds tied the knot in a secret ceremony in June 2016. However, news of their nuptials didn't break until the following October. Around that time, the decorated swimmer also hinted at the possibility of having another baby. "Baby number two may be coming soon," he told fans in a Facebook Live. "Who knows though!" Well, that time has officially arrived.